Call of Duty: Modern Warfare 3 is arriving a day early for some lucky individuals. Gamers who attended the two-day Call of Duty XP event in September have begun receiving their complementary Hardened Edition copies in the mail. 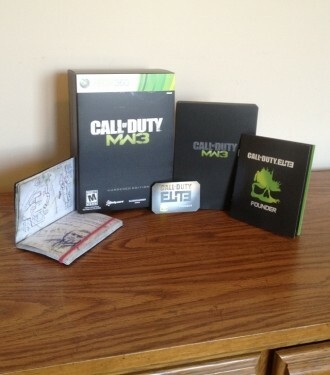 Tickets for the event were $150 and included a free copy of Modern Warfare 3 Hardened Edition for Xbox 360 or PlayStation 3 that would ship “when the game becomes available”. Xbox 360 versions were shipped overnight via FedEx Priority from Burbank, California. More specifically, the return address shows the sender is LAgraphico, a marketing team that lists Activision / Blizzard as one of their clients. We have confirmed that at least two people have received their games thus far, both 360 versions. A launch trailer for the game was released two weeks ago. This year’s title is being developed by Infinity Ward and Sledgehammer Games with Activision once again publishing the game. Call of Duty: Black Ops set a new record for the video game industry last year when 5.5 million copies were sold on launch day. With an even larger marketing campaign this year that includes 2,700 launch parties at WalMart stores across the nation, it’s entirely possible that Modern Warfare 3 will raise the bar once again. As of writing, Xbox Live reports there are roughly 44,000 users playing Modern Warfare 3 online. Did you attend Call of Duty XP and if so, have you received your game early or are you still waiting just like everyone else for a midnight release?